The party's remarks came after Rashtriya Janata Dal (RJD) leader Tejashwi Yadav said that doors of the Grand Alliance were closed for Nitish Kumar. Nitish Kumar earlier said he knew "Grand Alliance would not last". 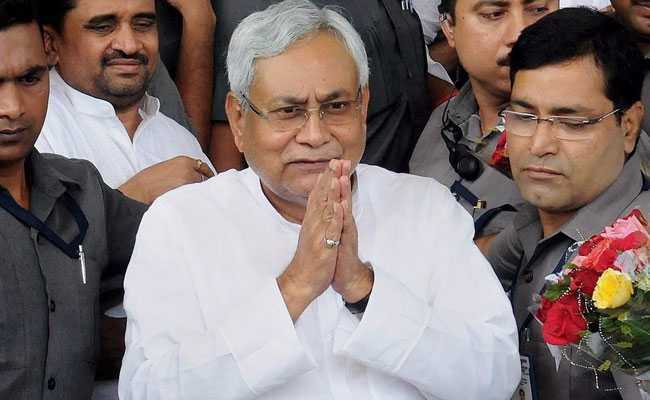 The Congress on Thursday said the question on Bihar Chief Minister Nitish Kumar rejoining Grand Alliance was "hypothetical" and as long as he is with the "facist BJP", the party will not comment. Congress in-charge of Bihar Shaktisinh Gohil said: "At present, Nitish Kumar is with a fascist party BJP. So, no comments on this. For a hypothetical question, I cannot give any answer." "We have a loyal and ideological alliance with RJD and Jitan Ram Manjhi's party (Hindustani Awam Morcha) in Bihar. This alliance is intact... we will contest 2019 elections together," he added. Tejashwi Yadav, the Leader of Opposition in the Bihar Assembly, on Thursday said his party will support the Janata Dal-United (JD-U) in Bihar only if Nitish Kumar retires from active politics and not allow Nitish Kumar's return to the Grand Alliance ahead of the 2019 Lok Sabha polls. Asked to comment On Tejashwi's remark, Mr Gohil said: "How can I comment on his remark? He will only reply. I can only speak as a Congress spokesperson."